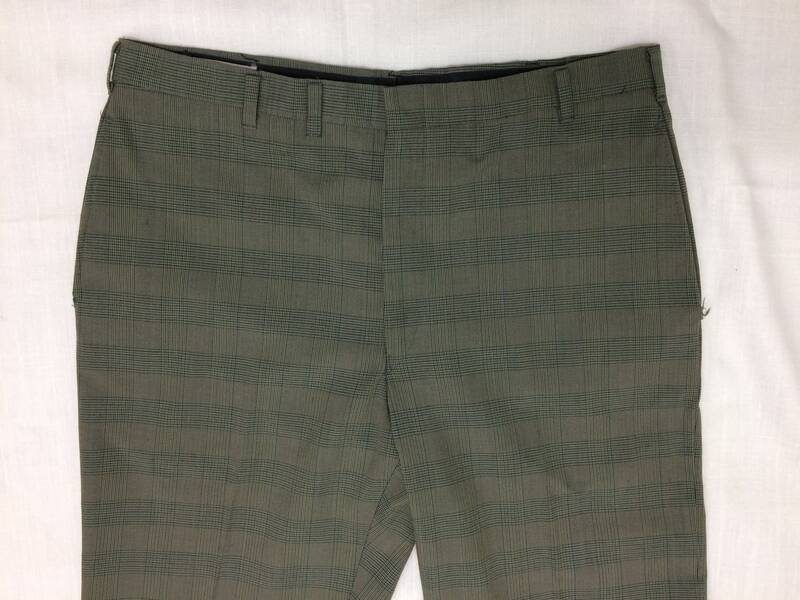 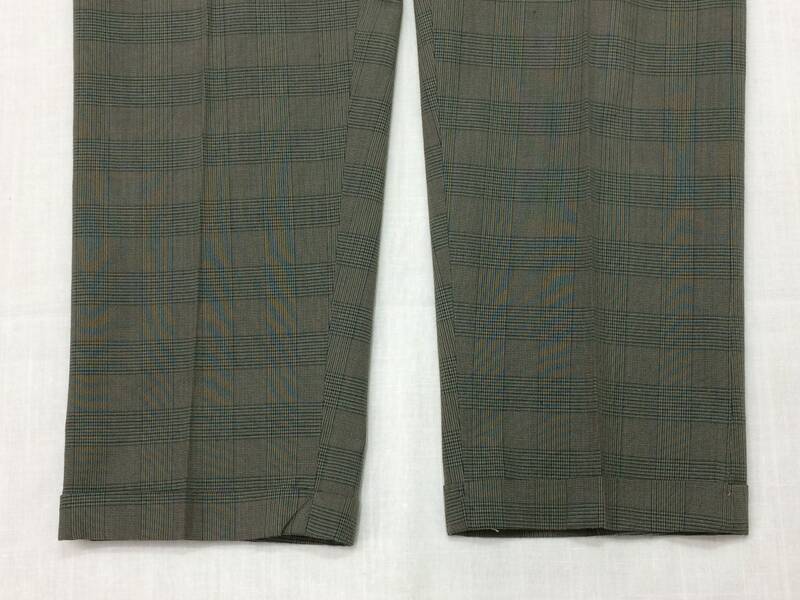 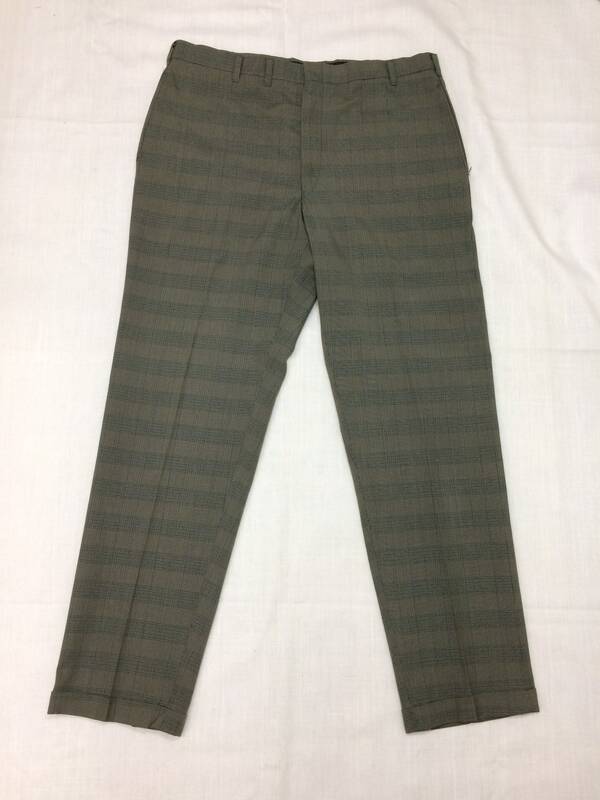 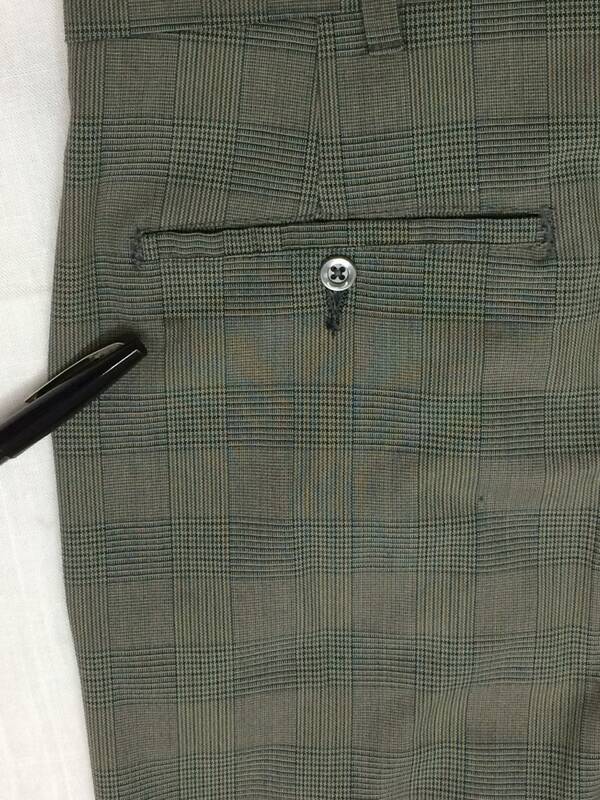 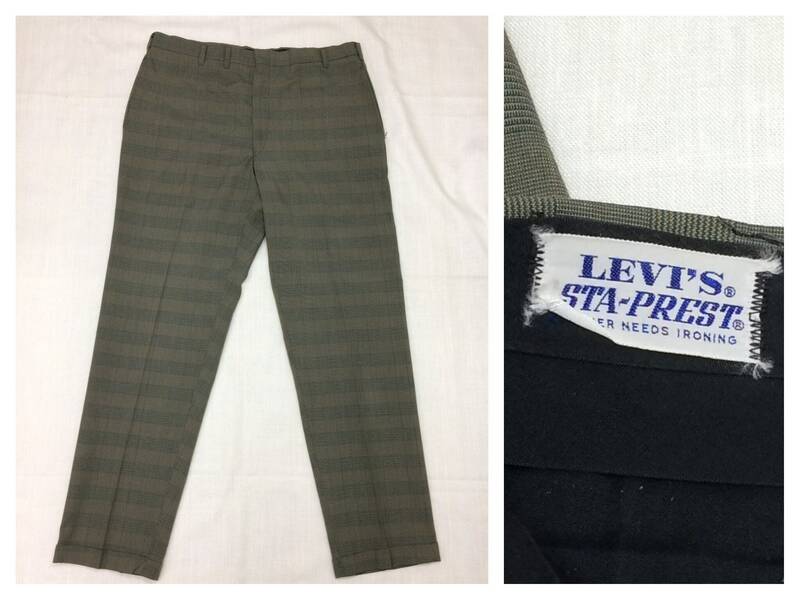 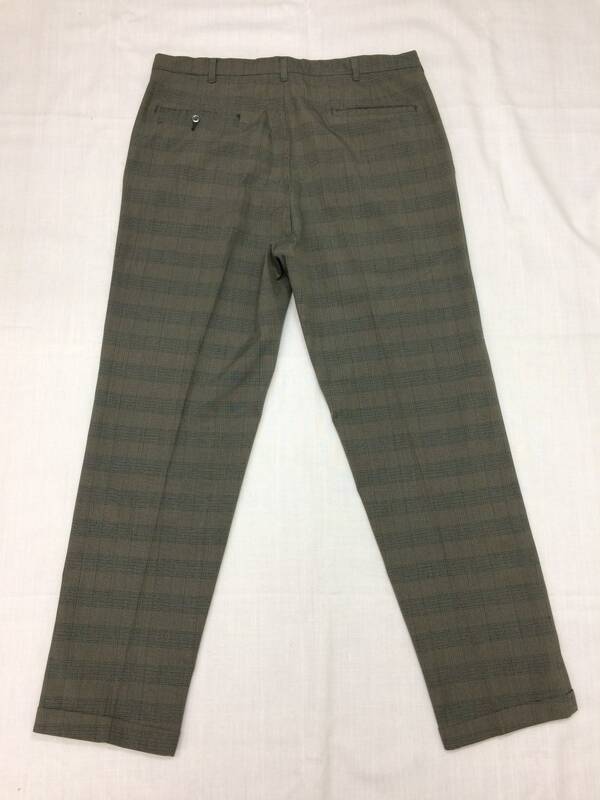 Here's a pair of slacks from the 1960's. 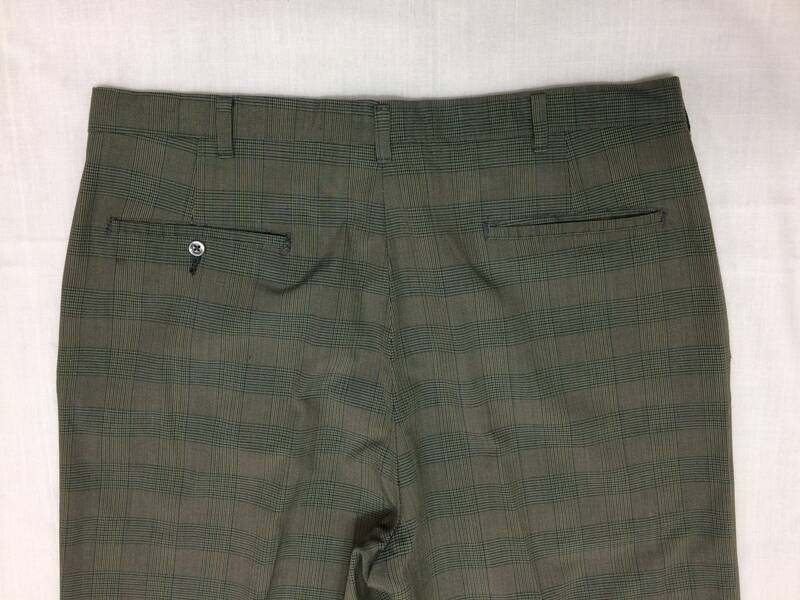 They're permanent press, have skinny belt loops, slit back pockets and cuffed legs. 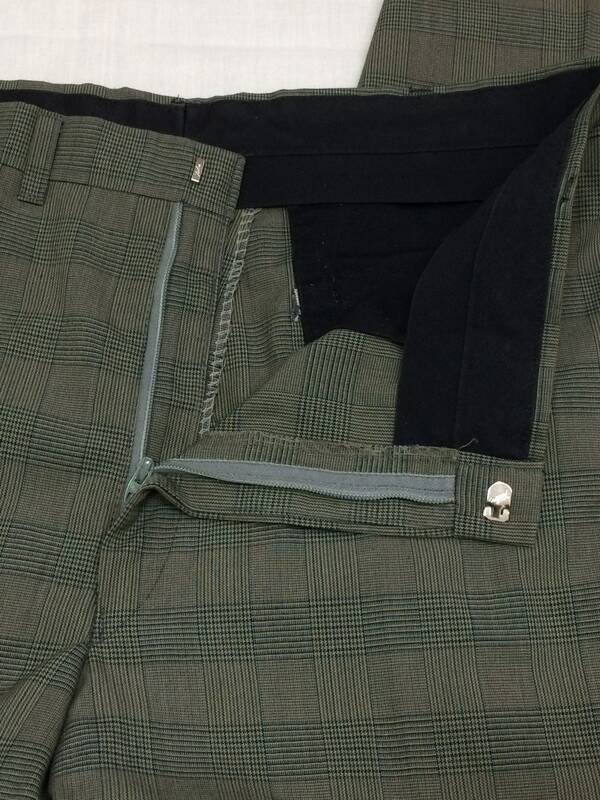 There’s a small tear at the base of the left pocket, a small light spot by the back pocket and a small bit of paint in back of the leg toward the bottom, see last photo. 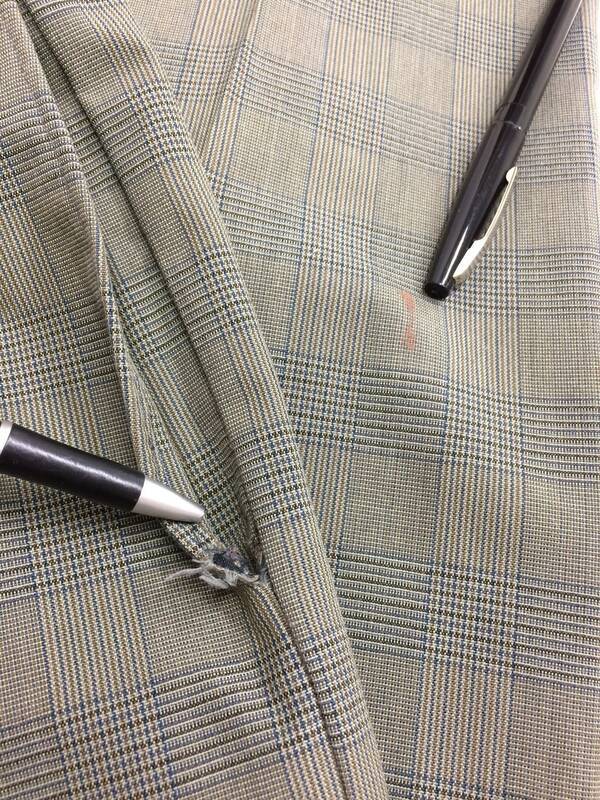 Otherwise, it’s in excellent used condition.